James Delbert Middlekauff (Jim), 88, of Boise, Idaho left us quietly on September 1, 2018. Born on August 9,1930 in Tacoma, WA to Clarence Wendell Middlekauff and Sarah Marie Scott Middlekauff (Mimi), Jim was the oldest of their 3 children. He had a rugged early life living in tents in logging camps until he was 7 years old. As he grew he became proficient at making something out of practically nothing and fixing almost anything. He attended elementary schools in Horseshoe Bend, Smiths Ferry and on what is now known as Sugarloaf Island in Cascade Lake and graduated from New Meadows High School in 1948. 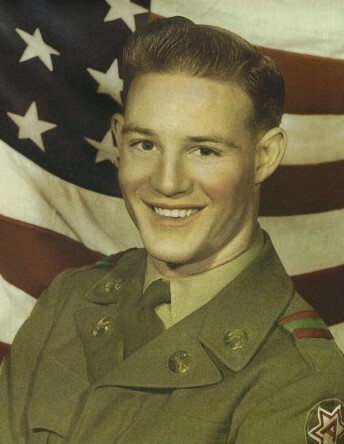 He joined the Army in September 1948. He served during the Korean War as a Staff Sergeant in Juneau, Alaska. He was honorably discharged on July 17,1953. He married his high school sweetheart, Joan Ruth Reynolds during Christmas leave on January 3rd,1951 in Cascade, Idaho at the Valley County Courthouse. Though times were tough in the early days, Jim and Joan always worked together and demonstrated unfailing love and devotion to each other. He was a very loving, kind, strong and gentle man, but fierce in his love for his family. They moved to Moscow, Idaho to attend the University of Idaho. They had a son, Michael James in April of 1954. Jim graduated with his Bachelor’s degree in Accounting in 1956 and became a Certified Public Accountant. They moved their family to the Lewiston Orchards and he worked for the firm of Presnell-Farley for several years. The addition of two daughters, Sherri Joan in September 1957 and Marla Kay in April 1959 completed their family. He joined Morrison-Knudsen Company in 1962. He commuted between Boise and Lewiston every weekend for a year to be with his family as they waited for their home in Lewiston to sell and be able to move the whole family to Boise. Jim was an Internal Auditor for Morrison-Knudsen, becoming their Chief Comptroller and worked for them until he retired in 1992. He traveled all over the world going to places where M-K was building bridges, dams, or other large projects. His work often took him away from his family for days, weeks or even months at a time. In those days the kids waited for his weekly phone call, and were impatient for him to return home, always with a little gift for each child. Jim and Joan were members of the Lewiston Golf Course & Club and later at the Plantation Golf Course & Club in Boise. Jim and Joan taught their children and grandchildren many things from fishing to waterskiing, to snow skiing and snowmobiling, to love of family, country and being fair in all dealings. They built a family cabin in Cascade on West Mountain in 1970 that they loved to use and enjoyed having family members use. Jim was an avid golfer, playing as much as possible when he could, doing so until all of his partners had passed away and he was over 80. Jim and Joan were active in the Lewiston community, being President of Jaycee’s (and Joan of Jaycee-ettes) in 1962-63, and in the Elks Club. They became members of the Masonic family as members of the Order of the Eastern Star, and Jim as a member of the El Korah Shrine Temple, becoming a 33-degree Mason, being a member of the Shrine’s Black Light Patrol. He was a quiet philanthropist donating to many different organizations from the Shrine to the Cascade Medical Center Foundation to the Idaho Food Bank to both BSU and U of I foundations and many others. Jim fondly called Joan his first birthday present as she was born on his first birthday. They were truly soulmates, doing everything together from dancing, playing cards, traveling, assembling furniture and toys, washing windows and chopping wood, to fishing, golfing and snowmobiling. Jim never met a baby he didn’t love or couldn’t calm down, having a way with children that just immediately put them at ease. They modeled covenant love to everyone, with Jim sitting with Joan as she took 2-3 hours to eat one meal, then an hour later doing it all over again without a word of complaint. He believed that he was the only one that could or should take care of his wife as she slowly lost her memory; that was his life’s job. He and Joan were moved into memory care in February of 2018, as even his health and memory declined. 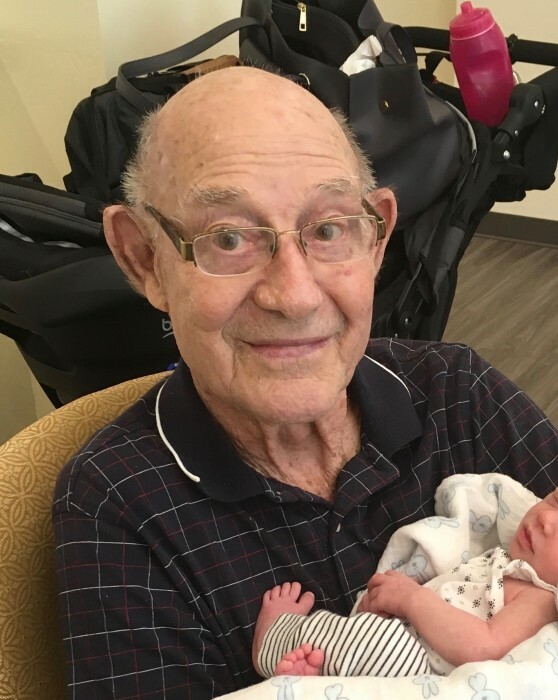 He is survived by his wife of 67 ¾ years, his three children - son Mike Middlekauff of Boise, daughter and son-in-law Sherri and Colin Hudson of Boise and daughter Marla Braendle of Meridian. All of his children, grandchildren and great grandchildren lovingly called him Papo. He has 5 grandchildren: Jessica (and Jeff) Simpson of Meridian, Robert (and Stacey Castor) Braendle of Portland, Tamara (and Jeff) Samuelson of Boise, Joel (and Caroline) Hudson of Eagle, and Marianne Hudson of Boise. He leaves 6 great grandchildren - Bailey, Avery, Ellie, Claire, Lola and Nora and numerous nieces, nephews and friends, all of whom he adored. He was preceded in death by his parents, younger brother Darwin Middlekauff, sister and brother-in-law LaRee and Thomas Howell, grandson Steven Middlekauff, nephews Gary Wisdom and Lloyd Middlekauff and other extended family members. He will be missed by all who knew him, but especially by his family. Memorial contributions may be made to the El Korah Shrine to support the Shriner’s Hospitals.